I love creating baby quilts for others. It is so much fun and each and every one is so precious and so dear. 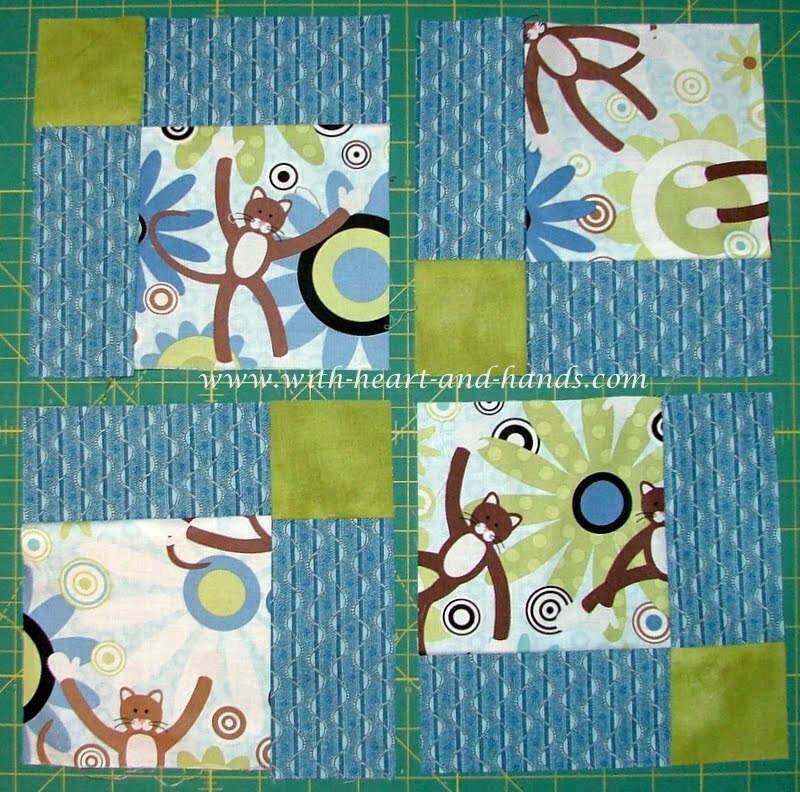 I call them "Blessing Quilts" as I make them, and give them away in multiples at a time. 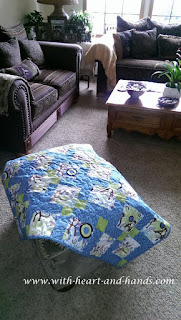 Having just finished a nice big stack of receiving blankets and quilts for donation to Alexia's Cozy Covers where they are handed out to various social services here in the Salem, Oregon area. 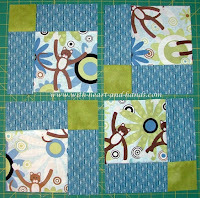 I was still on a roll of having so much fun giving to others that I started another little baby quilt. 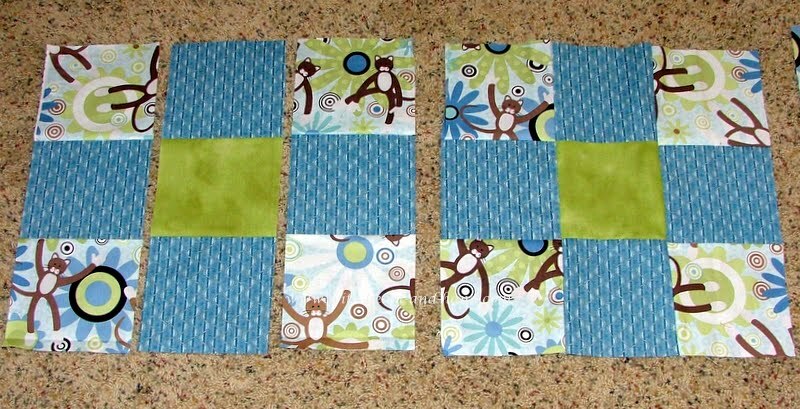 This one is blues and apple green with touches of brown, it seemed a good fit for either a boy or a girl and I began it not quite sure who it would go to or how it might be used. Then , a miracle happened. 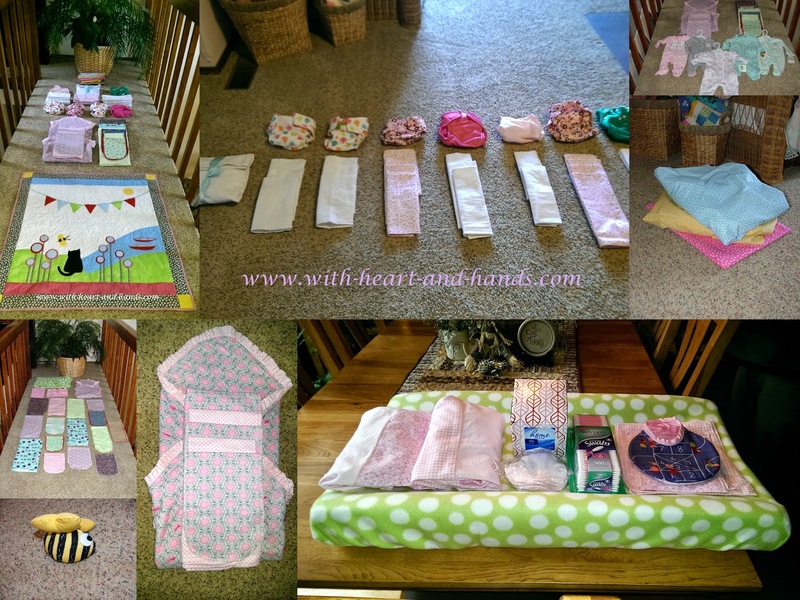 a couple we know who have been longing for a little one for years and years were 'instantly' selected for adoption by a young mother coming into a major hospital in Portland, in labor, and unable to care for the baby she was about to give birth to. Our friends who had been on adoptive lists and done all of the home studies were selected out of a portfolio of profiles and the young mother she said she wanted this couple, absolutely wanted them to be the parents of her young baby. 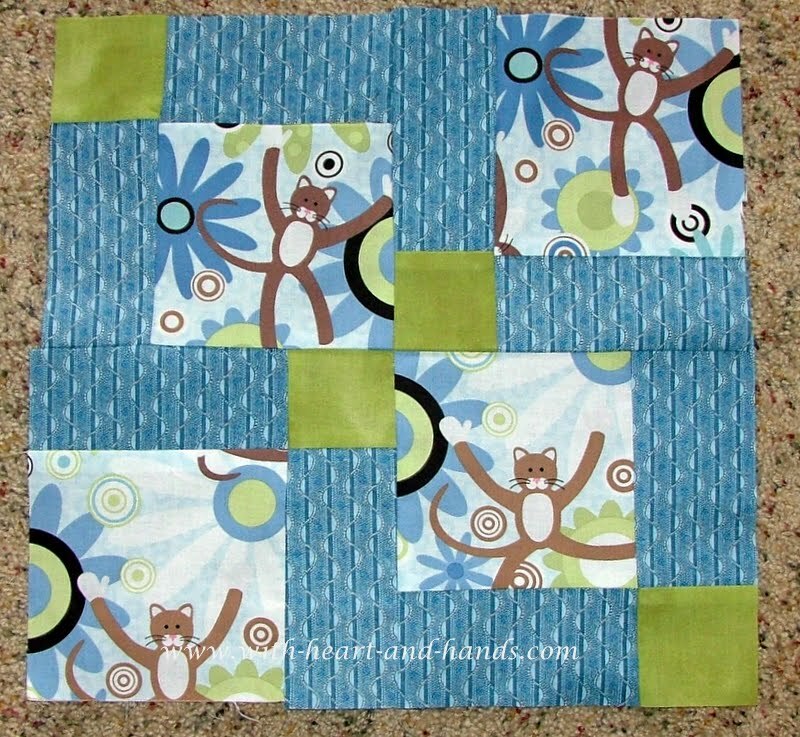 And my little quilt is just perfect for this little one and I couldn't be happier to be able to give this one away! Welcome to the new little one and your wonderful, loving new family! 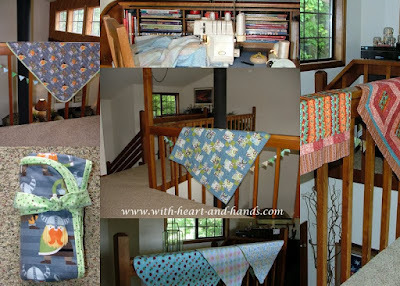 It's such a wonderful feeling to make a big pile of quilts or blankets, wrap them up into bundles, or stack them in a carry back for bringing for donation! It fills up my heart and reminds me that giving to others with my heart and from my hands is what I am meant to do! 4. 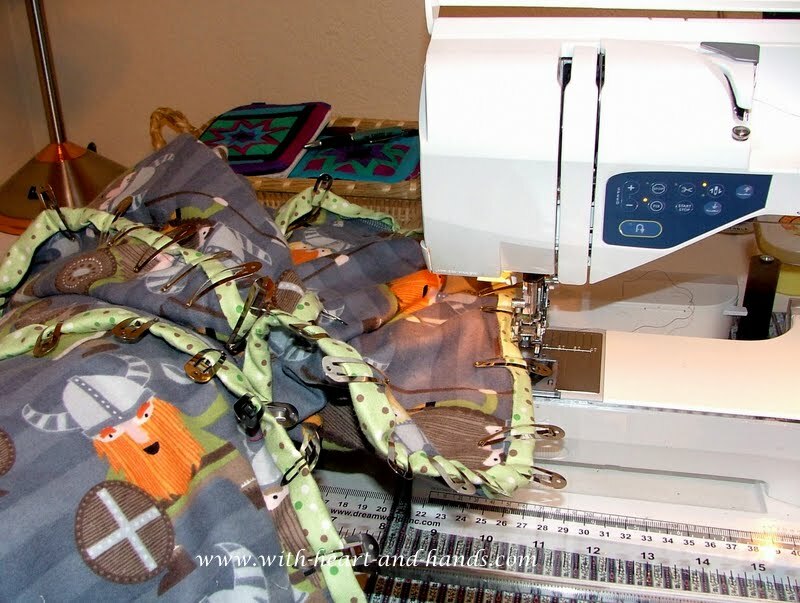 Sew into 9 patches. 5. 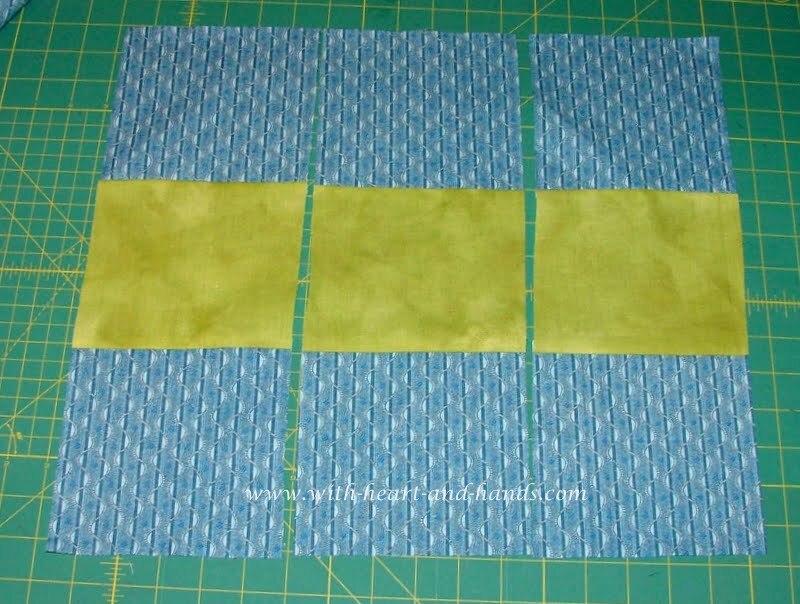 Cut nine patch square in half vertically, then horizontally. 6. Rearrange as shown. Two outside corners and two inside corners. 7. 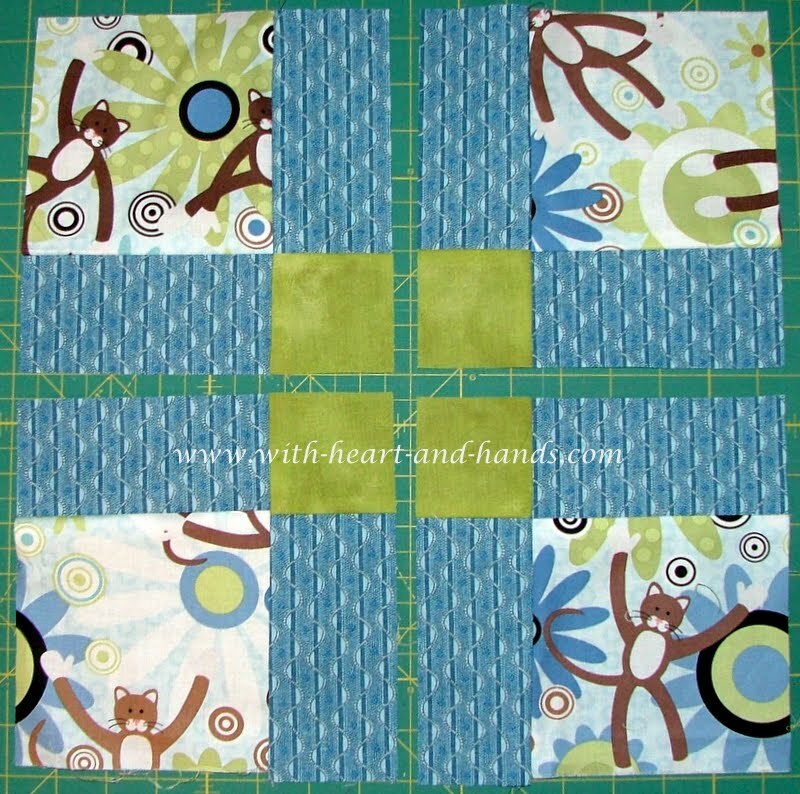 Sew into a new your D9P block. 8. 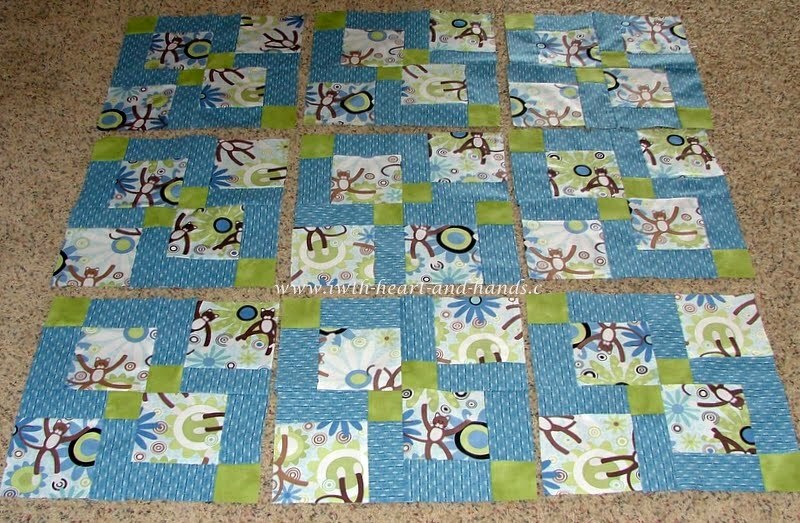 Make the remaining blocks and there is the layout ready to sew together! 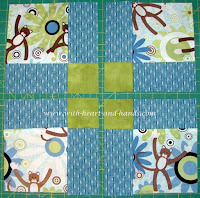 Blessing quilts--what a perfect term for a gift for a new baby! 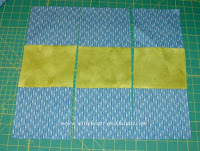 Sewing for others makes my heart sing....good thing as it has not been singing for awhile. 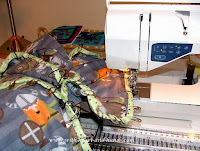 After your inspiration, I am now going to stop moping and at least do a stitch or two before bed. Funny how the plan came together in such a beautiful way. Congratulations to your very deserving friends. They were chosen and so many have children without ever thinking about the blessings they receive. Lifted my spirit to read your posts. What size baby quilts do you stitch for donation, and who do you donate to?